Agesssss ago I wanted a Real Techniques Miracle Complexion Sponge but I was umming and arring and so my friend suggested buying a Primark one in the meantime. I haven’t shopped in Primark for ages but, as always, money is tight and when my friend said their sponges were 70p, I couldn’t resist. 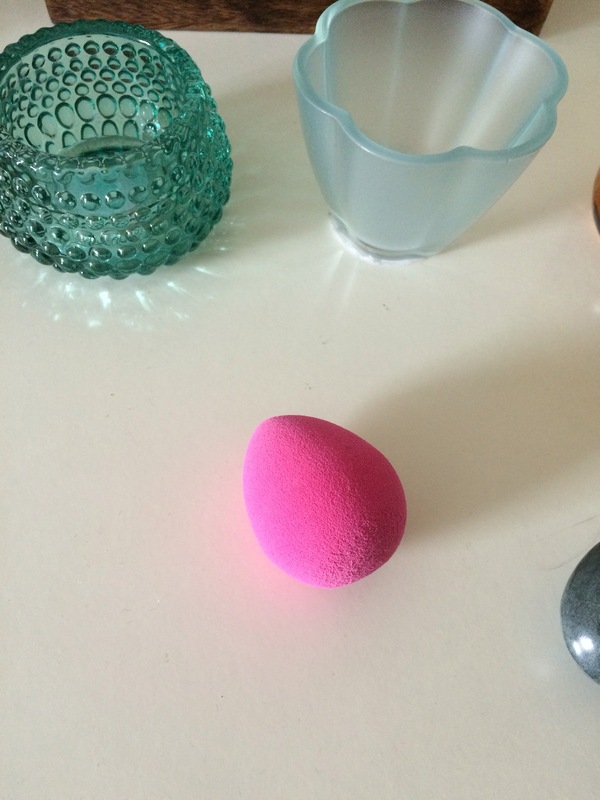 I feel that this sponge is more focused on the shape of a Beauty Blender and it’s quite a sturdy, thick sponge. It felt that it could do some serious blendage. When I started to use it, I was really impressed. 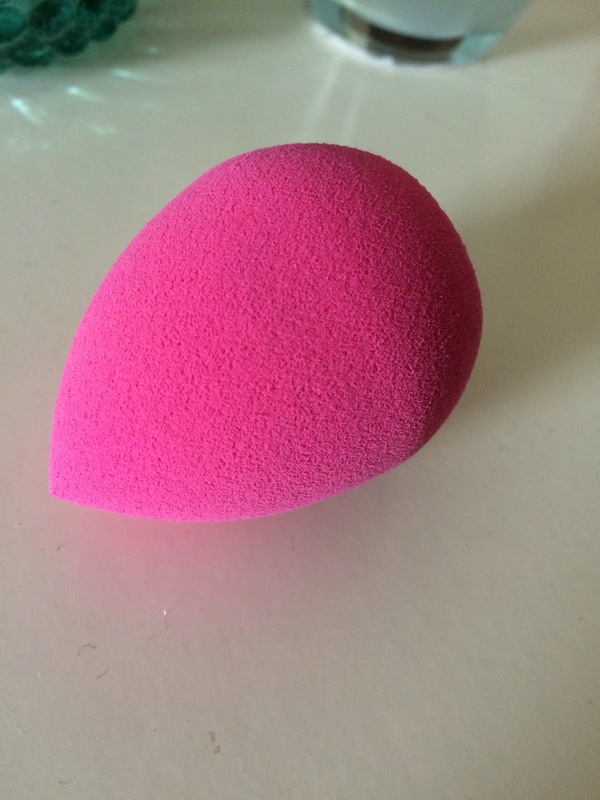 It make the foundation blend seamlessly and everything looked flawless. HOWEVER, for some reason, when I used it the second time, it didn’t look great. It started to take off some of my makeup and I couldn’t understand what was happening. A good few days later, it was pointed out to me that I needed to actually wet the sponge. Yes, I was embarrassed and yes, it did make sense. Now, I actually haven’t tried it since but now it’s all cleaned and washed I am looking forward to doing so! 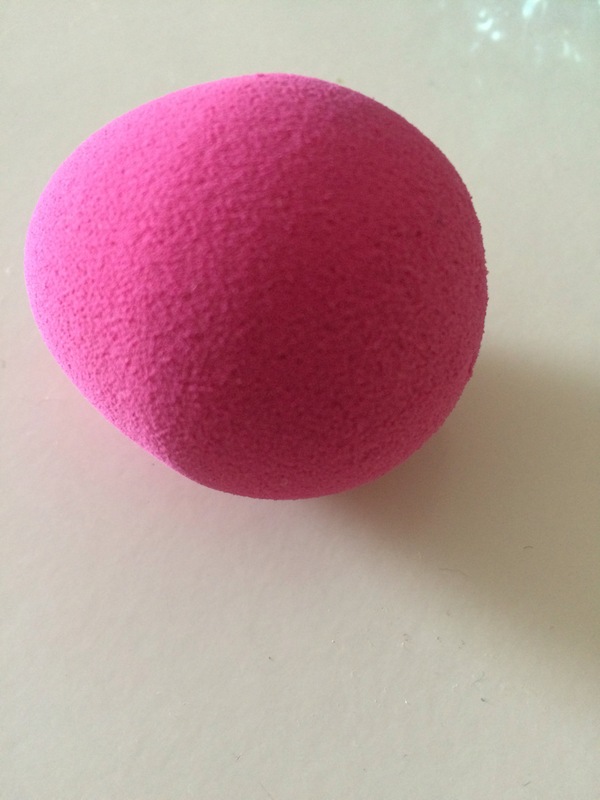 I now also have a Real Techniques Miracle Complexion sponge in my makeup bag which is fabulous (blog post on that coming soon) but I think for 70p you cannot go wrong with this sponge! Has anyone else purchased one of these? Did you forget to wet it too?! 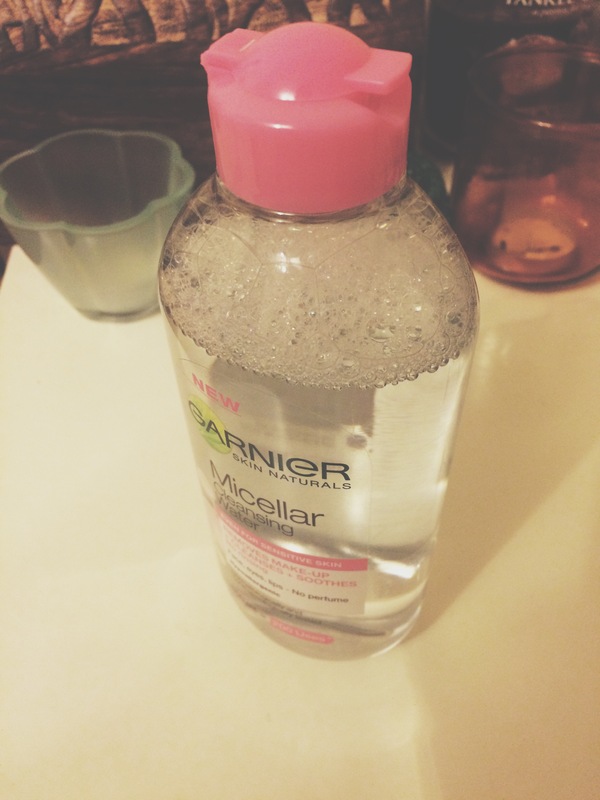 Today, I wanted to talking about using heat protection on your hair. Now, I’ve never really used it and for years, I’ve tended to let my hair dry naturally. However, these days I use my hair dryer a lot and, occasionally, it’s followed by my straightners. Therefore, keen to keep my hair strong and healthy, I thought it was time to purchase a little heat protection. 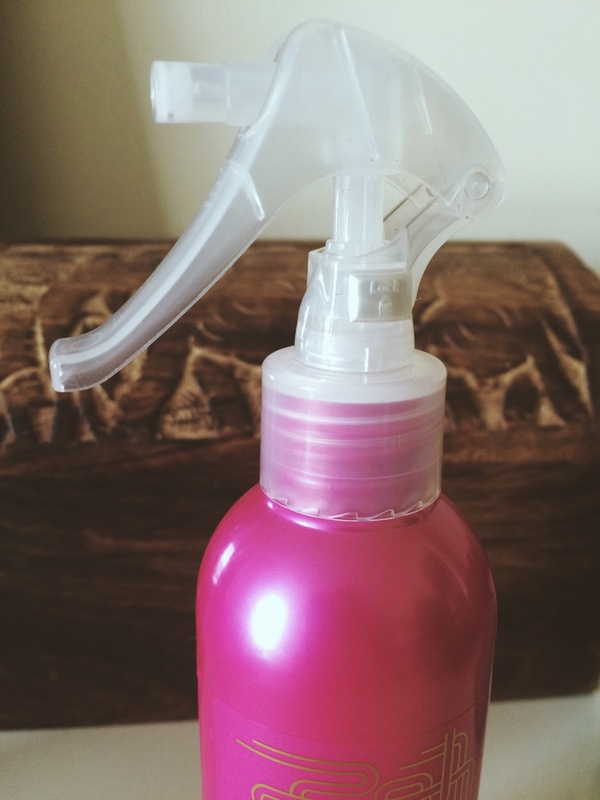 I decided to check out what others thought were the best of the bunch instead of just purchasing willy nilly and, after really researching (I spent longer than I’d like to admit), I opted for VO5’s little styling spray. 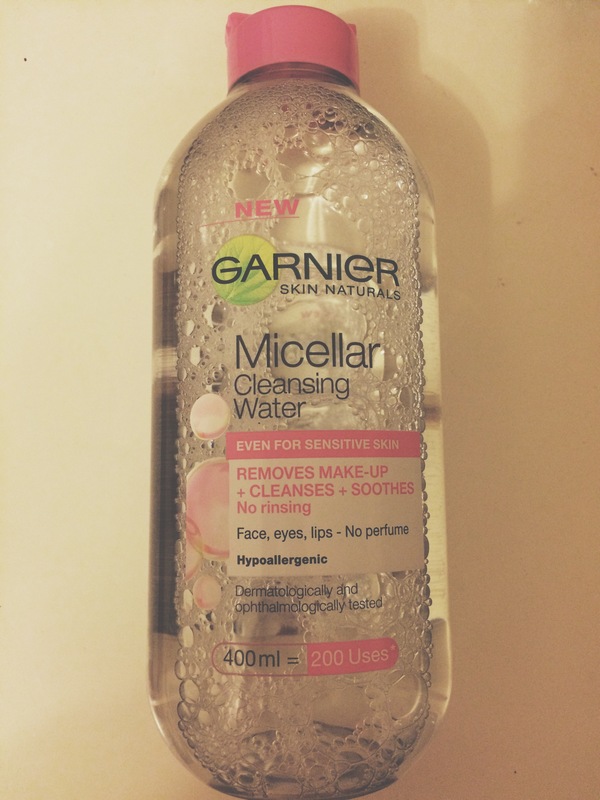 I picked this up at my local Body Care for under £3! I had heard that this was better for blow drys than for when you use your straightners, apparently it could make your hair feel a little greasy after straightening. However, I don’t feel like it does. After spraying it evenly through my hair, I can feel a difference in texture but it’s not a horrible difference, in fact it makes it feel a bit thicker. It actually leaves a lovely scent too and my hair looks fabulous and shiny afterwards. I will say, though, that I have sprayed this in before blowdrying and then have straightened straight after without reapplying so perhaps that would change things? In the end, it’s very easy to use this spray and I think for less than £3 you can’t really beat it. I really like the packagaing too- it’s very fun and cute! 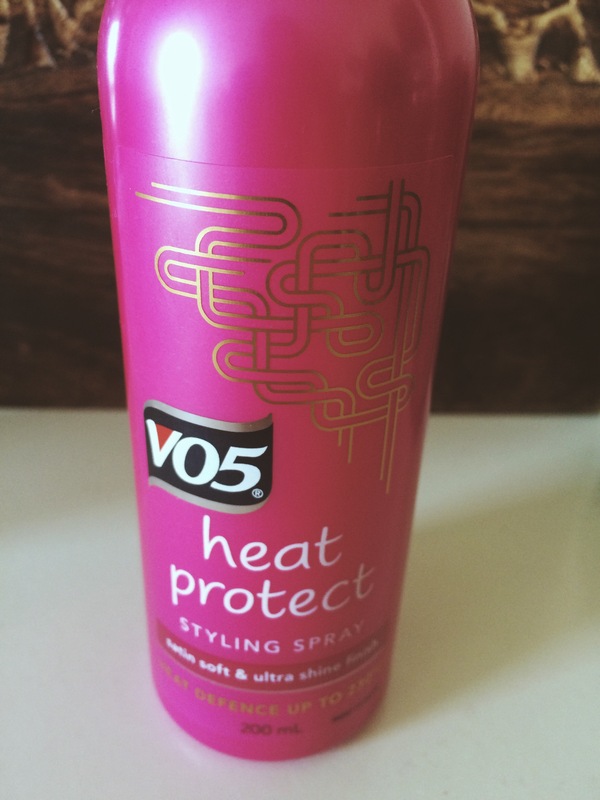 I’ve never tried any other VO5 styling products but I think after using this I will try some. So I haven’t quite been posting everyday sorry guys, it’s been a mad week. How are you all though?! 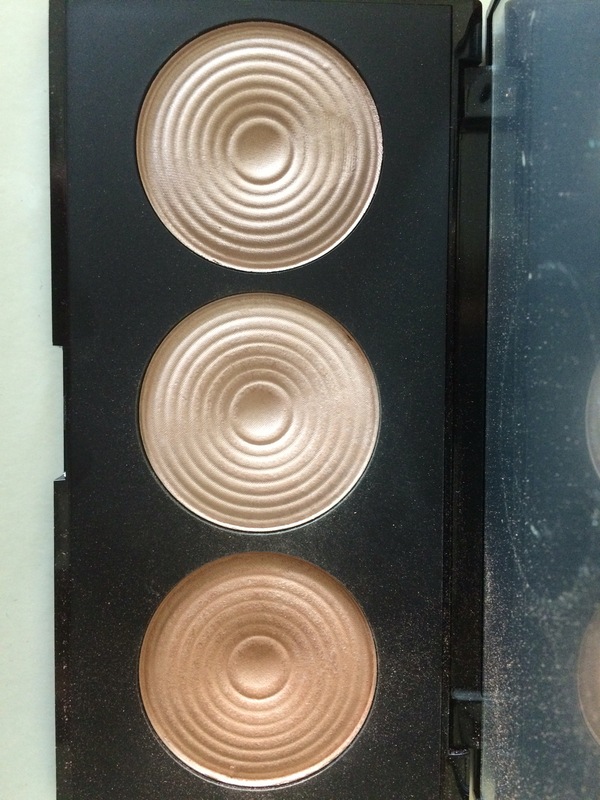 I wanted to share my experience with Makeup Revolution’s Radiance Highlighter palette today. I bought this a while ago because I wanted a really nice highlighter but, as per usual, I didn’t have a lot of money to spare so I did a little bit of research. In the end, I decided that Makeup Revolution’s palettes seemed affordable and gave a lovely look. 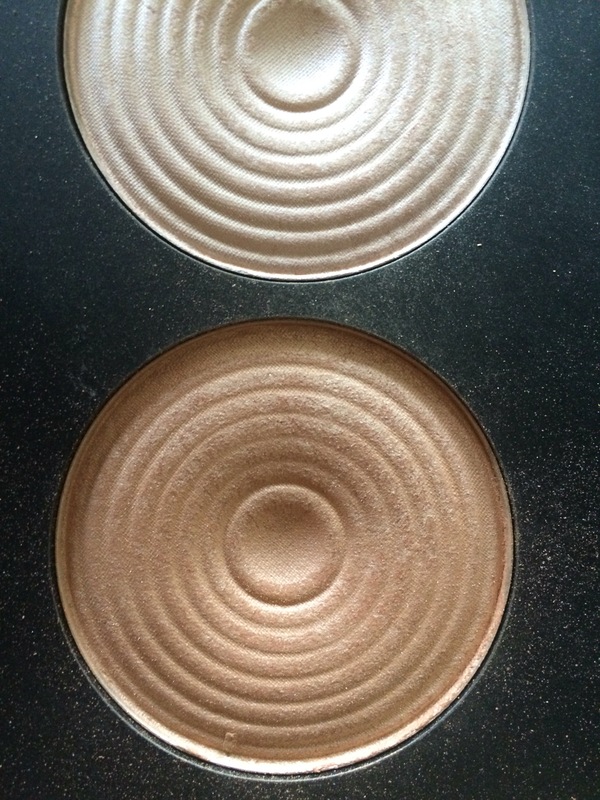 I chose their Radiance Highlighter palette which was only £8. 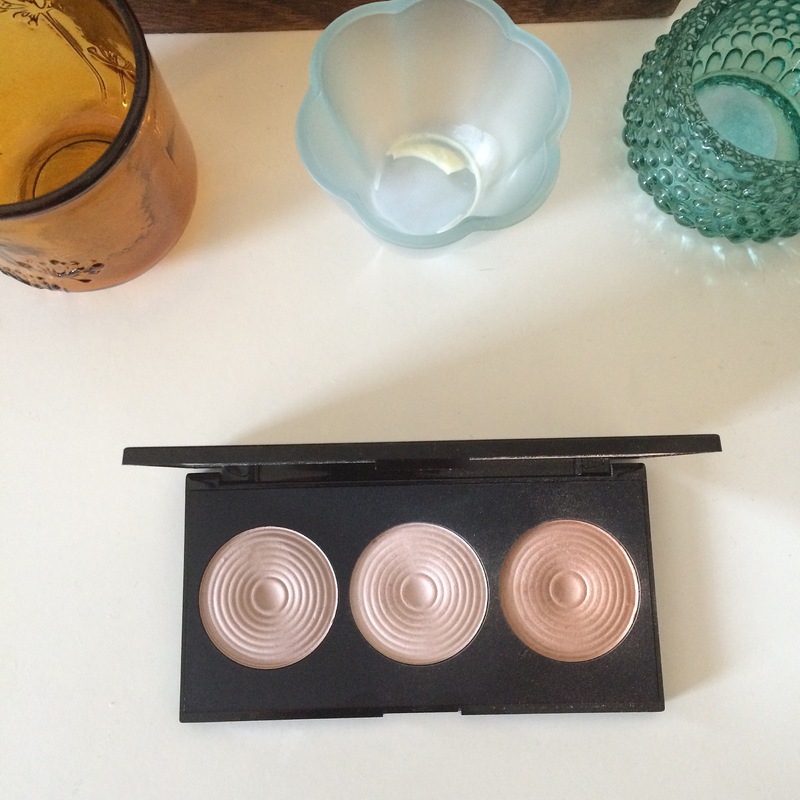 I felt that this palette gave a really nice and generous selection and I was keen to try it! It doesn’t exactly tell you how to apply it but then again, I’ve actually used this palette as a blusher aswell. At the minute my blushers have been a bit too harsh for me- it’s prompted the bf to say something so you know it’s bad! I have a very pale complexion but I also have quite rosy cheeks and felt this shades would make me glow and not like I was embarrassed like before *cringe*. 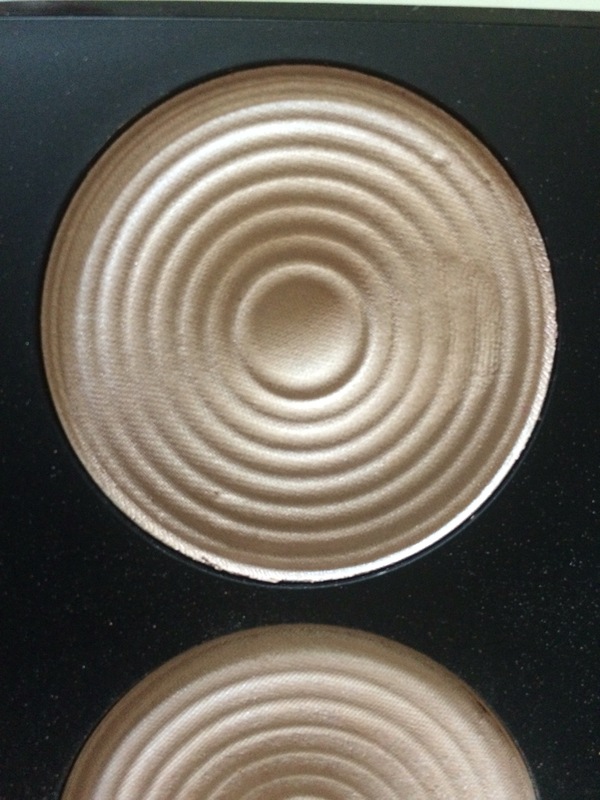 I tend to use the bottom colour as a blusher or the top one as these are the darkest, adding the middle to the top of my cheekbones. They give a lovely sheen and shimmer and are easily buildable. I also put it on before my powder so that if I have gone a little too far I needn’t panic! The colours are lovely and rich and I think they’re perfect for all year round. Again, they don’t limit you to a day or night look and to be honest, you aren’t reduced to using just one or two lipsticks with them. I absolutely love this palette and, for £6, it’s such a bargain, it’s definitely worth it! Has anyone got this palette? What do you think? Would you buy this? I’m having a lot of baths recently so I apologise now. I was a very lucky girl before Christmas, well, in some senses and felt like I was being constantly spoilt. I’d had a lovely birthday, I was treated with copious amounts of Lush gifts from friends and I was feeling quite overwhelmed by it all. 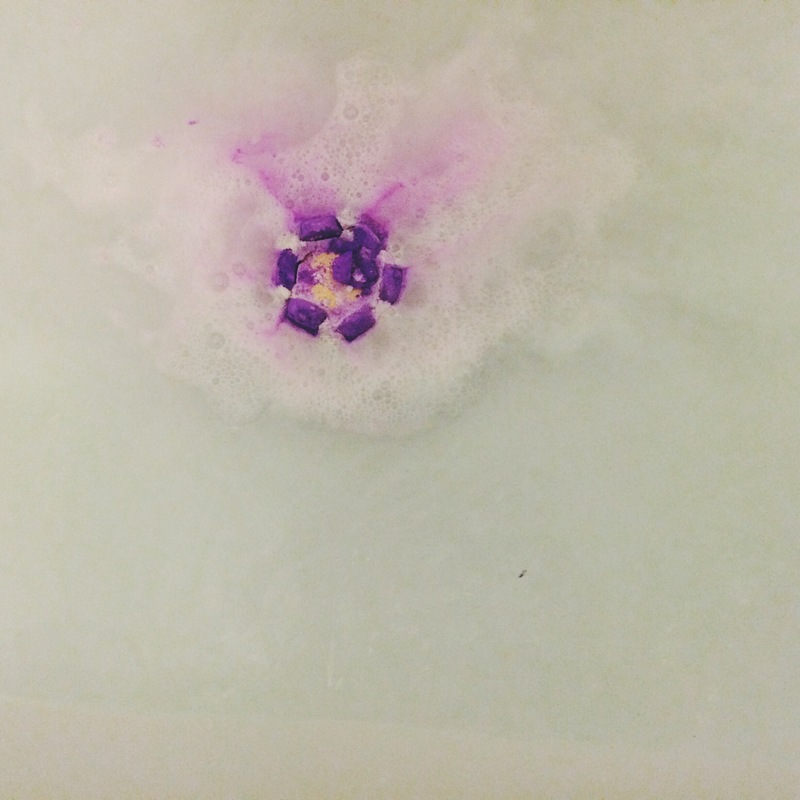 Well, low and behold, she returned with the Lotus bath bomb- a beautiful, white, purple and yellow bath bomb in the shape of a lotus flower. It smelt gorgeous but I had to be very careful with at the petals had a tendency to break. After months of me saving it, I decided that I should just enjoy it, after all she had purchased it for me for a reason. So, one more I decided that the time was now! I ran a lovely hot bath and popped in on the surface of the water. Straight away it fizzed and darted, leaving clouds of purple and white in it’s path. It gave off floral and calming scents and, eventually, dissolved leaving an imprint in the water. Needless to say, it was stunning. 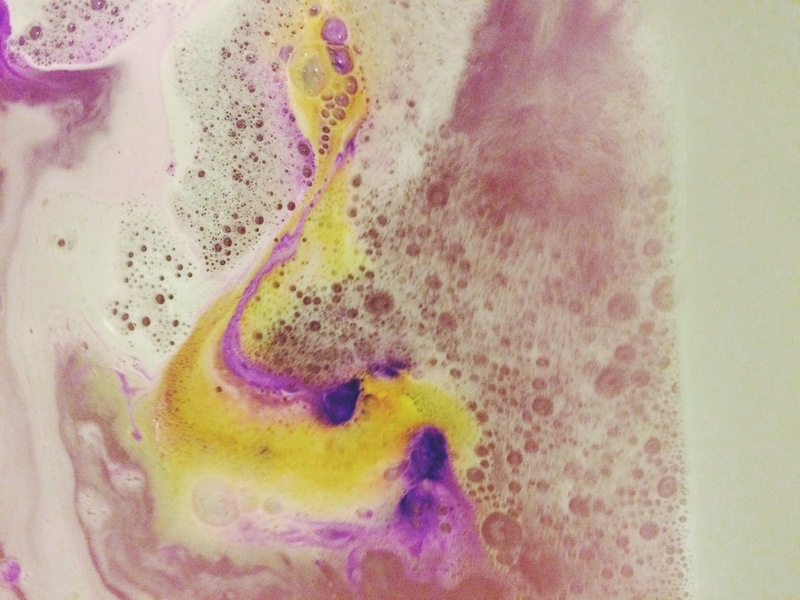 Has anyone tried or purchased this bath bomb? What did you think? Y’all know I’m obsessed with Tea Lights right? I can’t stop myself from buying them, although, it has been a while (are you proud?). 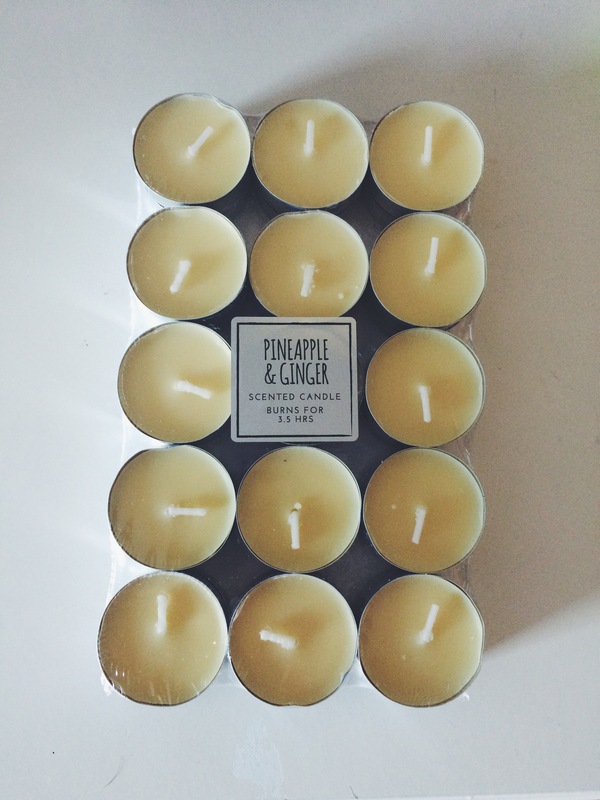 However, I’m running low on my pineapple and ginger tea lights so, unlike a normal person who waits to actually run out before purchasing more, I have purchased more. I really like the scent of these because the pineapple isn’t a terribly fake smell and the ginger isn’t over powering. I wouldn’t say that they lasted terribly long but for £1.30 you get 30 so I’m not complaining. They’re a light yellow too and so tie in nicely with my tea light holders. Is that sad that I’m giving that as a reason to buy them? 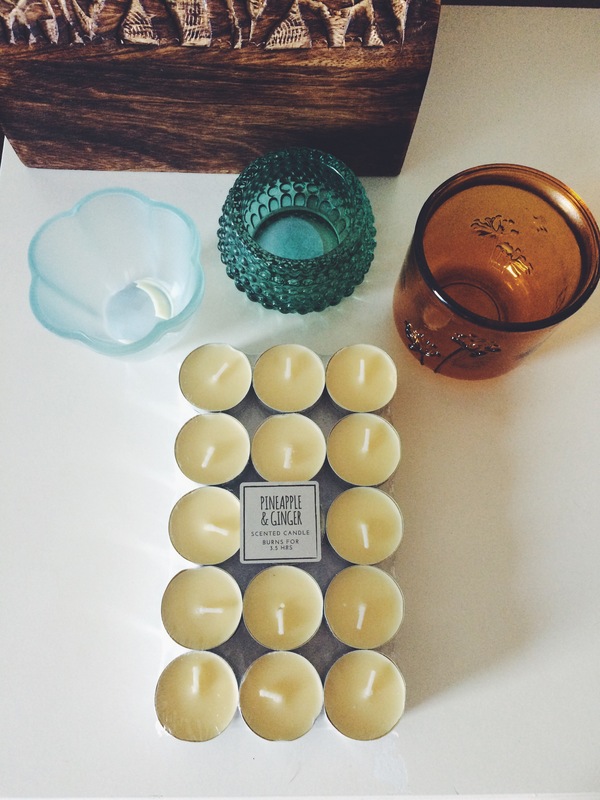 Anyway, has anyone purchased any tea lights recently? 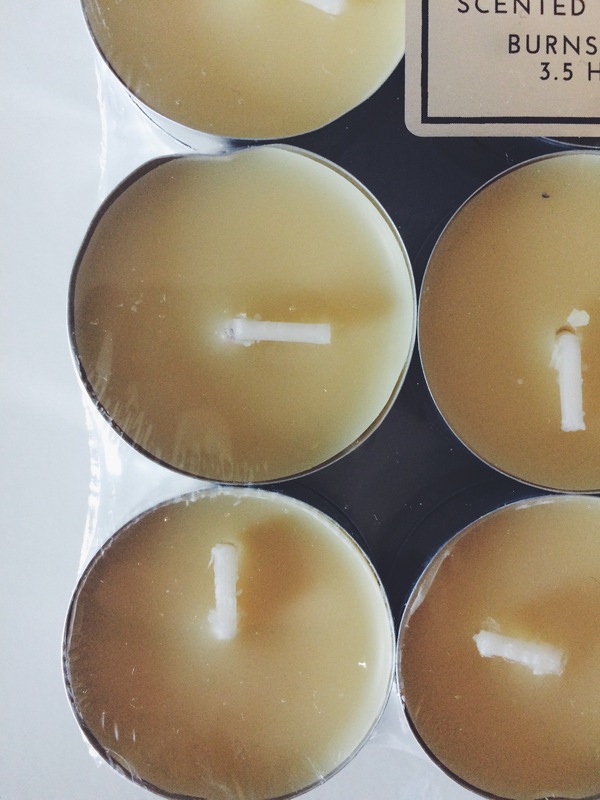 What’s your preferred scent?! 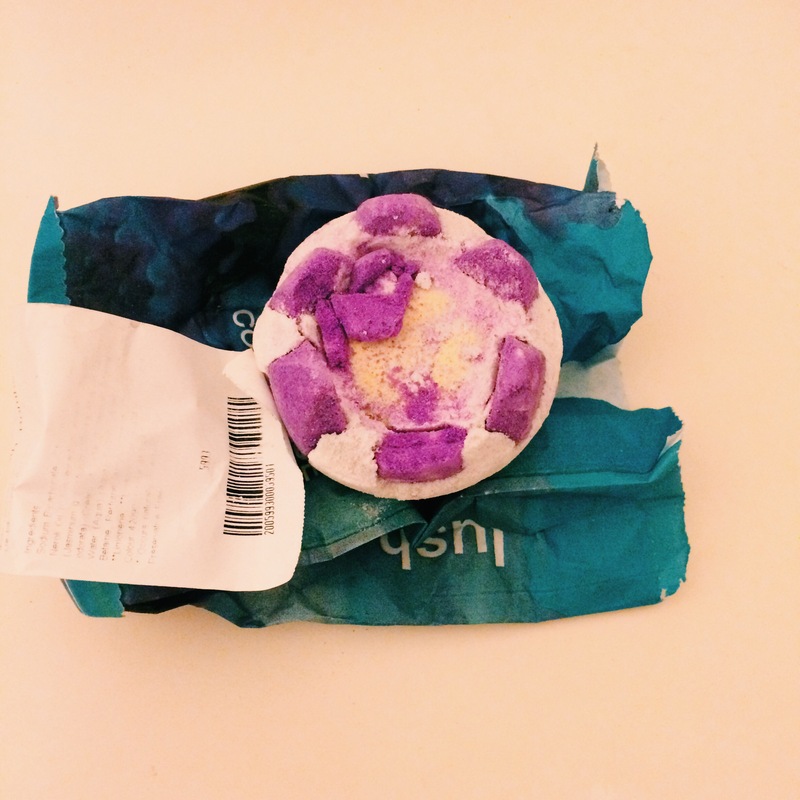 I’m not sure if this will turn out to be a review or just a little rant about how amazing this bathbomb is. Let’s see shall we! 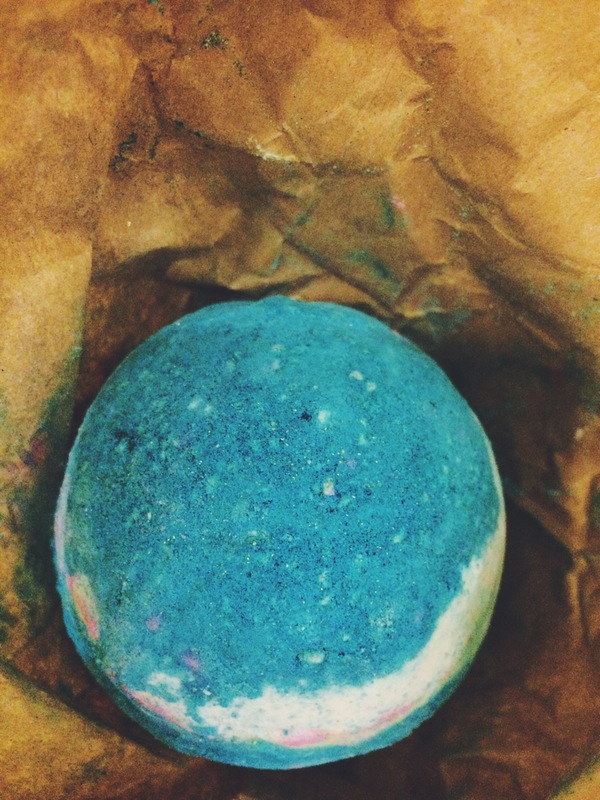 Okay, so, I was given this bathbomb by the lovely manager at my hometown store. I love the manager there, I’ve been bobbing in and out of Lush frequently for the past year now and he just knows everything and what I’ve been going through healthwise, ect. He’s become a friend. 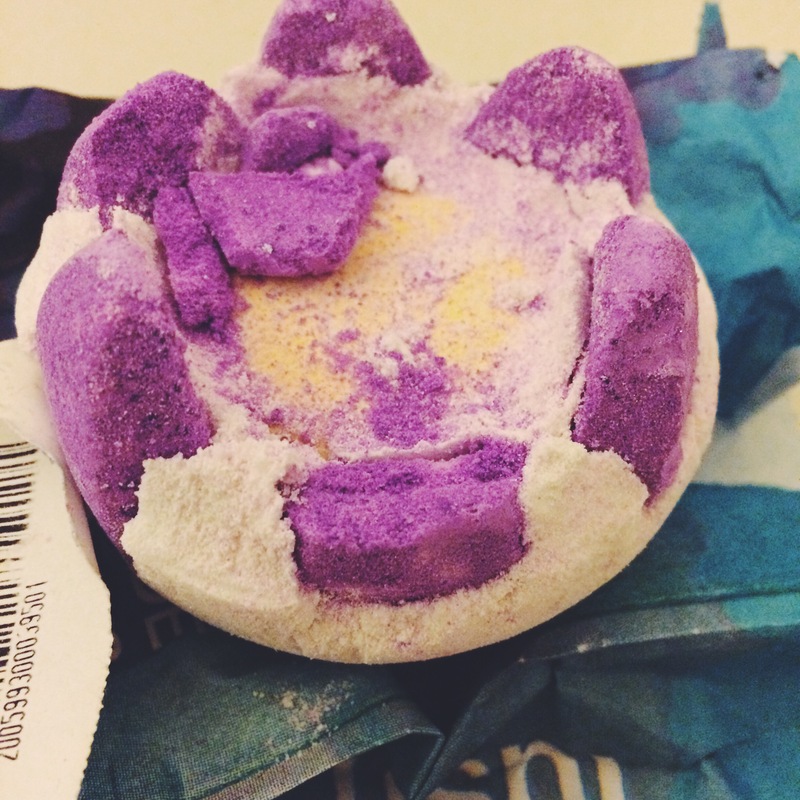 So, when I found out about the silly tumour that was in my kidney, I chose to go to Lush and treat ma self. I regailed the manager with my woes and, even though I was prepared to pay, he very kindly gave me the Intergalatic bath bomb. Now, I must say that I was really put off by the smell at first. It’s a very minty smell and I seem to be opposed to the smell of mint unless it is combined with chocolate or if it’s meant for my teeth, I’m not sure why though. I did, however, love the design. It really made me quite happy. It was super blue and super sparkly. I just loved, loved, loved it. So I decided to pop the whole thing in my bath. I watched it fizz away happily and dart all over the bath, leaving trails of pinks and greens behind. 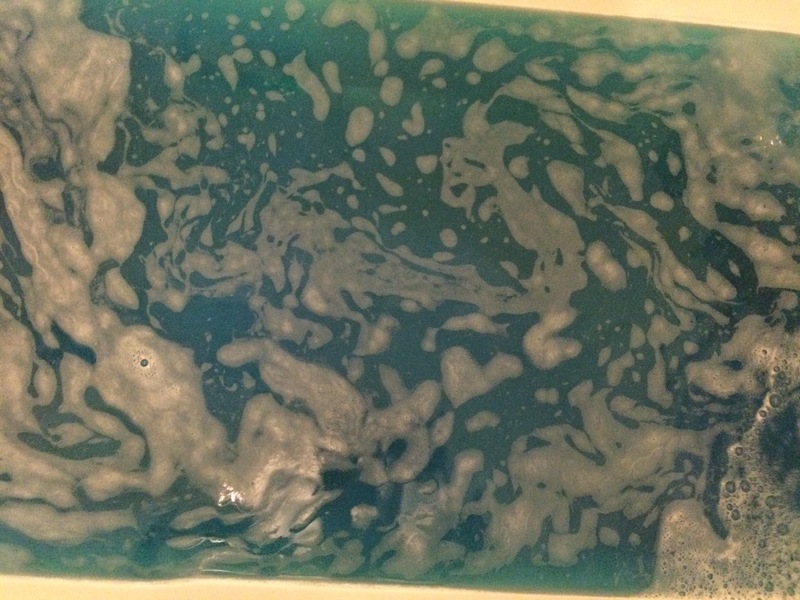 It painted my bath water blue, turqoise even. It looked like a piece of art. I couldn’t stop watching it…I was mesmerised. I also breathed in the scent, slightly minty but also very much your usual heavenly Lush smell. It was incredible. 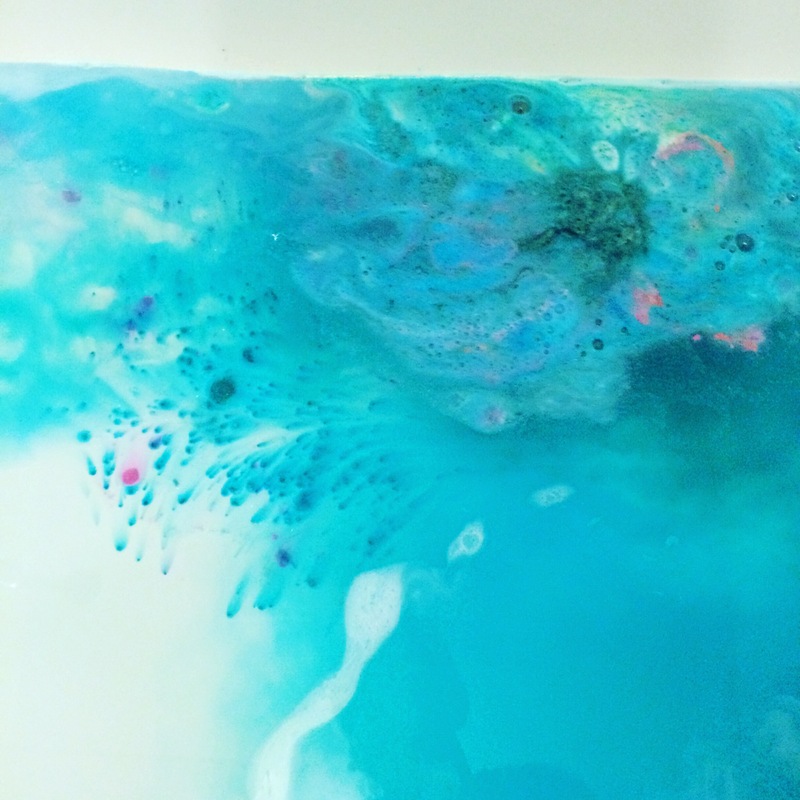 I hopped in and had a glorious sparkly, blue bath. I don’t think I dared to wash my hair but maybe I should have done so I’d sparkle more. Anyway, I give this bath bomb a massive thumbs up and suggest you all go and purchase one now! Has anyone else tried this one? What do you think? Also, does anybody else love sparkles? How are we all on this fabulous Friday? I wanted to do a little post today about what I spent Tuesday afternoon doing! So I spent the day with Iain’s Mum and we decided to visit this lovely little tearoom called Dingle Farm which is near to where she lives. I’ve been a few times and it’s just next to a farm (hence Dingle farm, I know!). It has a little shop opposite the tearoom and you can buy products which are organic and just a little bit more unique. As you enter the tearoom, you pass through a room dedicated to handmade items and books. It’s really lovely and it’s nice that the majority of the items are homemade. Upstairs they have a beauty room and often have an artist on site who produces pet portraits! After passing through the little shop, you have the choice of three rooms to enjoy your treats in. We chose to go upstairs because there’s a nice little view from the upstairs window- it overlooks a pond and a forest! Sadly, we were too late to get the table which we really wanted so we settled for one still close to the window. 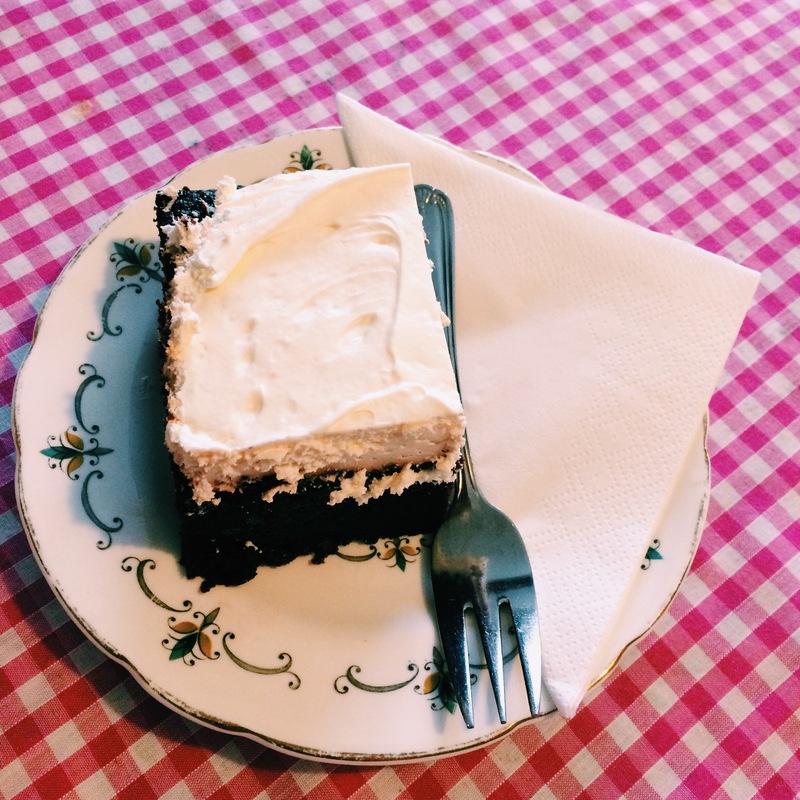 Once settled, we decided to be naughty and have a hot drink and a slice of homemade cake each which would only cost us £4. The cakes are beautifully written on a chalkboard for all to see and within each room, little decorations hang which are available to purchase. Their crockery is all mismatched too and it gives it a lovely, homely feeling! Carefully choosing off the board, I opted for a hot chocolate this time. 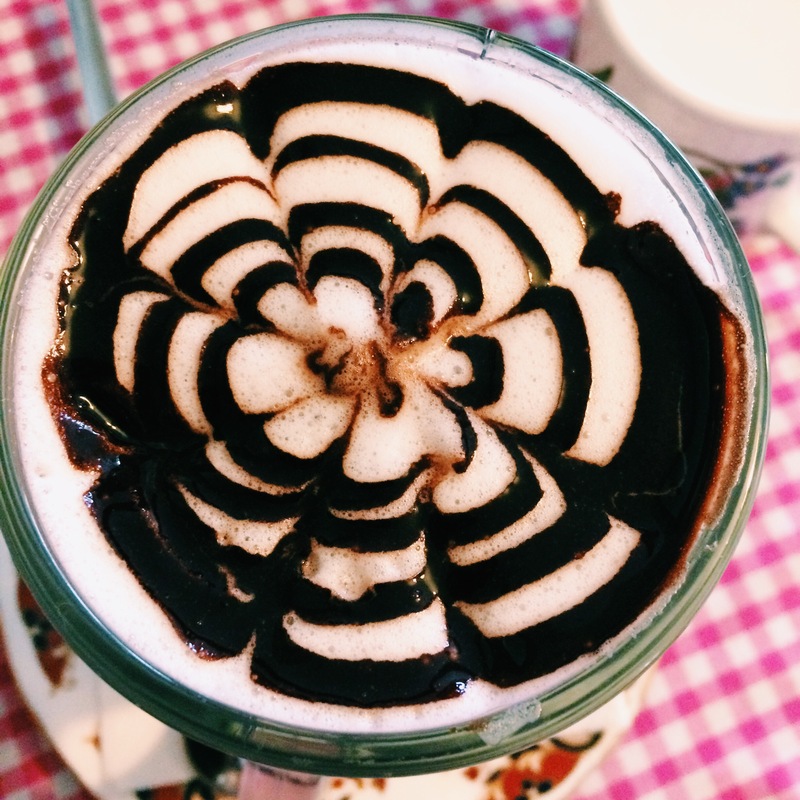 It came with two marshmallows and this gorgeous, little chocolate design on top! They also brought me a little jug of warm milk too so I could top up! 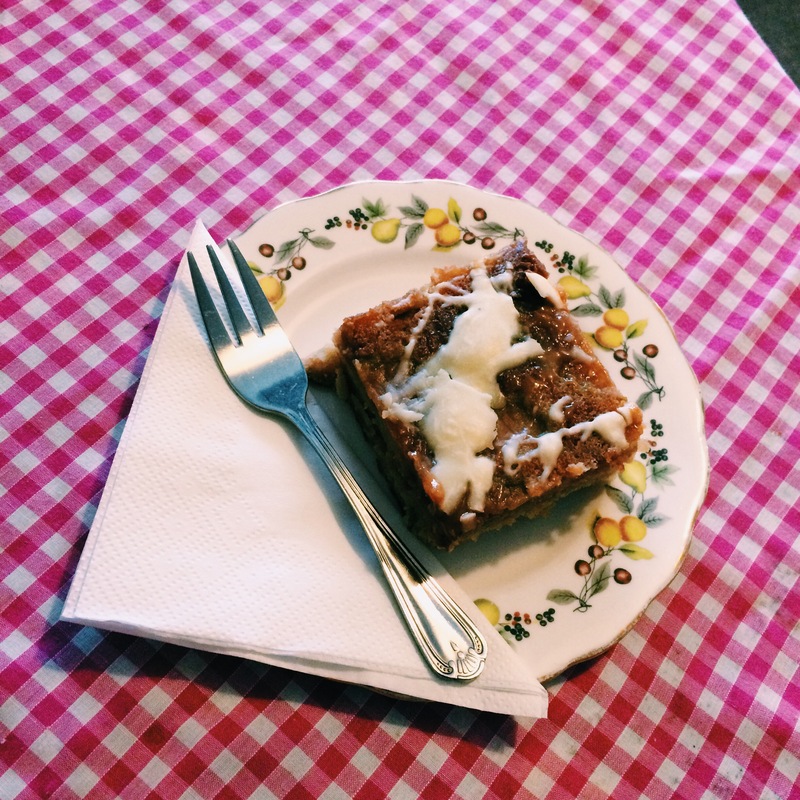 Now cake wise…I simply had to have their Toffee Apple blondie. It was devine. It was so yummy. I had to actually try and slow myself down so I wouldn’t eat it within thirty seconds. It was nice and gooey and it had a bit of a brownie texture but it was stickier. The white chocolate on top was just enough too. I wasn’t alone in enjoying my cake either as Gill had ordered her favourite- Chocolate Guiness cake! I actually thought the top was frosting or butter cream but it is indeed cream. Unfortunately, she couldn’t eat all of it and kindly saved the rest for Iain. She still enjoyed it with a pot of tea, though! It is such a lovely place to go to and I feel that it’s a little gem really! If you’re ever in the area I would recommend going or perhaps even taking a road trip to it! 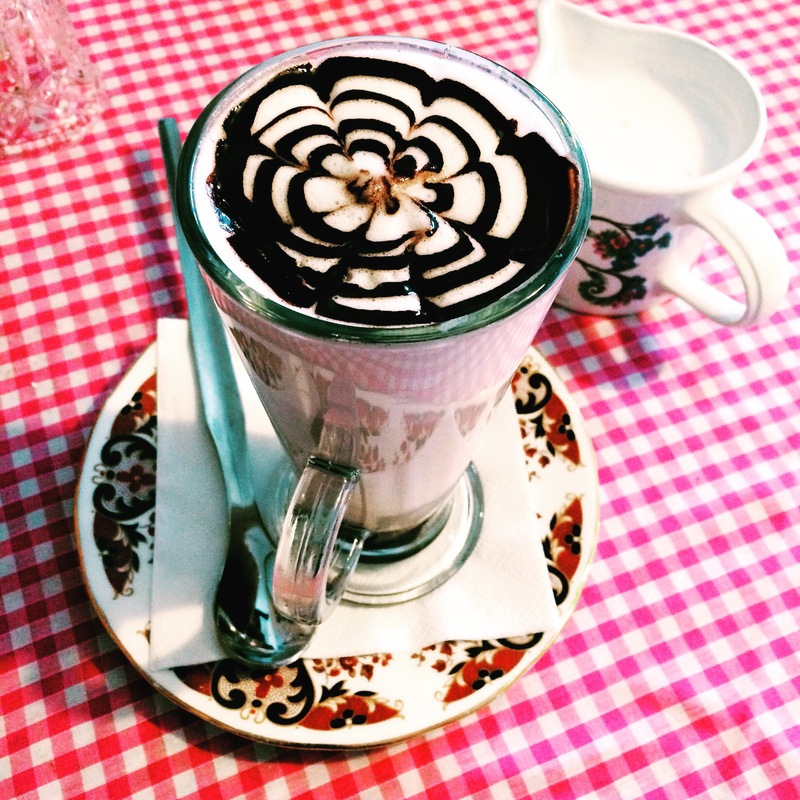 Can anyone else recommend any lovely tearooms? 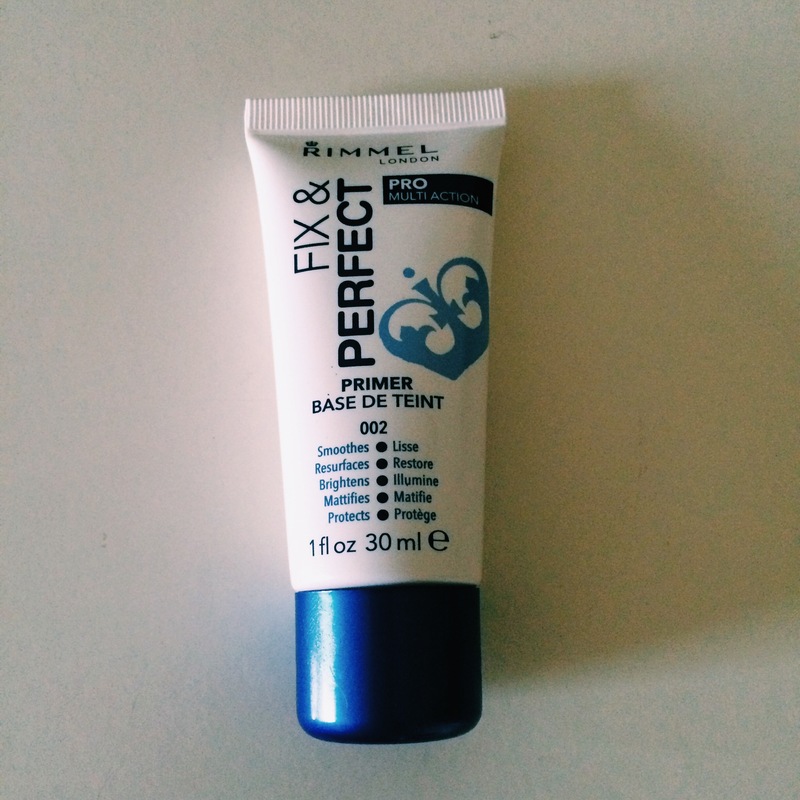 Rimmel’s Fix and Perfect Primer! Any good? 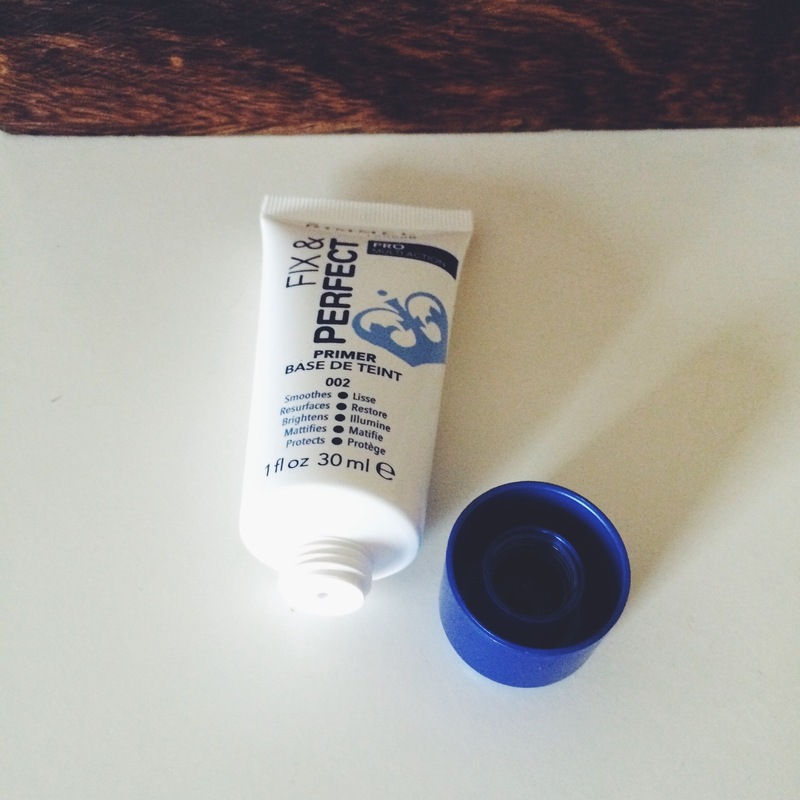 Okay, so I’ve been looking for a good primer but I’m on a budget- a really tight budget. In the past I’ve used Benefit’s Porefessional which I LOVE but I just don’t have £24 to spend on it right now. So, I’m looking closer at the drugstore brands. 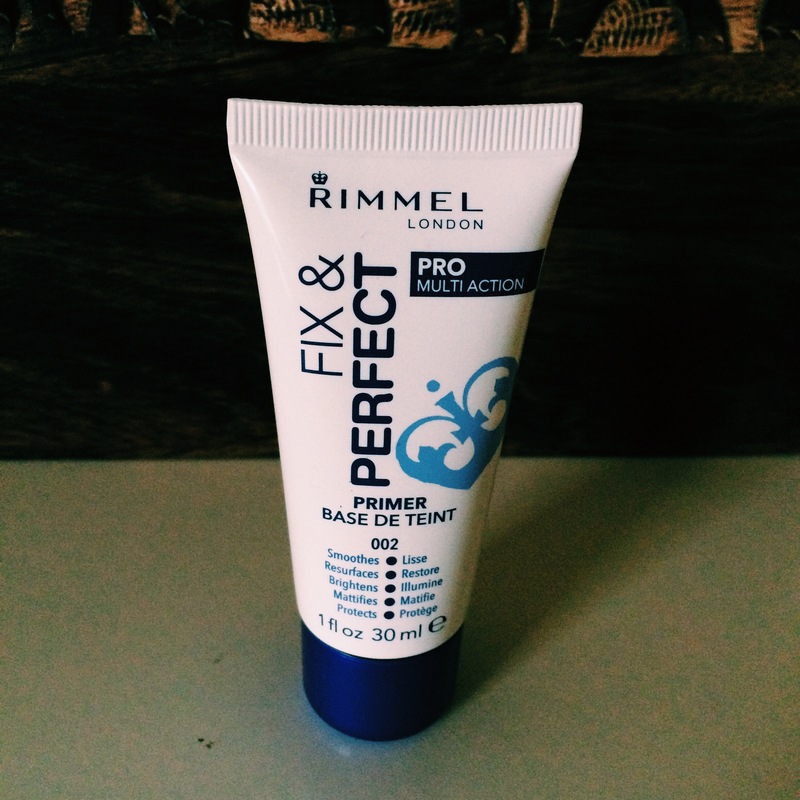 After reading a fair bit on the top ten primers to buy (again, I turned to google), I decided that Rimmel sounded quite good and I was familiar with their products. Therefore, I strode into Superdrug. Now, what I didn’t realise was that Rimmel actually have three different primers. So, I had a few options. After feeling the weight of them (I’m not sure why this swayed my decision), I chose their Fix and Perfect Primer. I like the typical Rimmel packagaing- it’s not intimidating and it sticks to their classic Rimmel look. It is quite a small tube though and I think it would be interesting if they made it a little bigger as it just feels like you need to stock up to get you through the months. 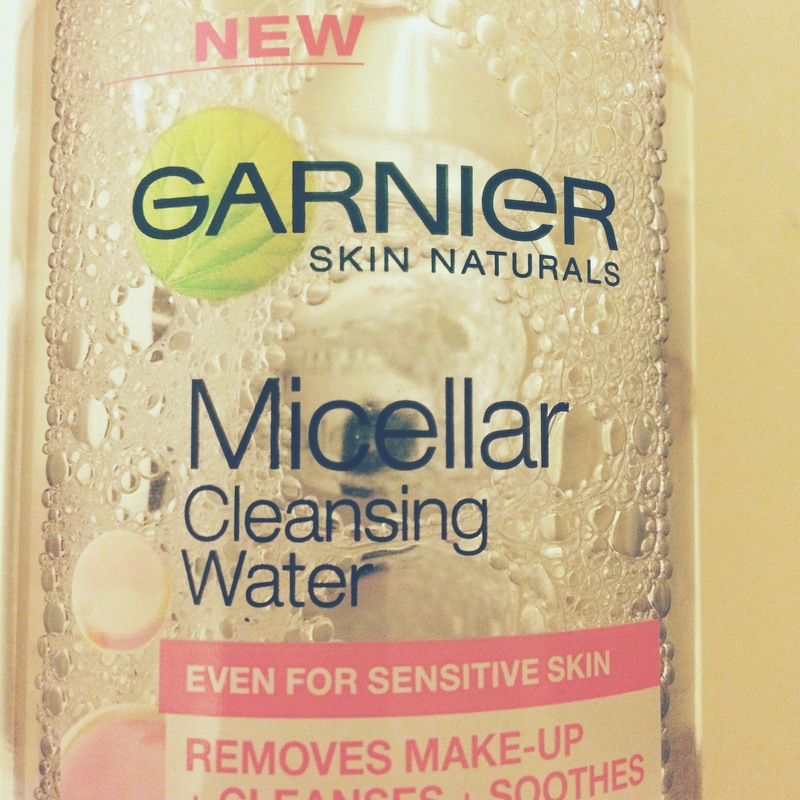 Anyway, keen to try it, I chose to test it against a full face of makeup. Now, I’m quite spotty at the minute and my skin is quite dry in areas so my foundation (which is Benefit’s Hello Flawless Oxygen Wow) isn’t looking as flawless as I’d like it too- enter the primer. The first thing I noticed when applying is that it went on very easily but it felt more like a runny primer and I was a bit concerned. I also noticed the smell and I have to admit I wasn’t very keen about that. However! Once on, it dried nicely and not too slowly. I don’t feel that my foundation looked incredible through just using that but I do feel that it did help it to stay on for longer. I’m not so sure about using this on my eyelids- I’d really like a primer for my eyeshadow but I’m not sure what the best one is for my limited budget. Overall though, I wouldn’t buy this again and will probably save up now for Benefit’s! Has anyone tried this? What did you think? Also, any recommendations for primers for the eyes?